Harry Styles and the team at HSHQ are encouraging fans and the general music loving population of the world to ‘Treat People with Kindness’. For pride month Harry and his team have released two extra special pieces of merchandise. 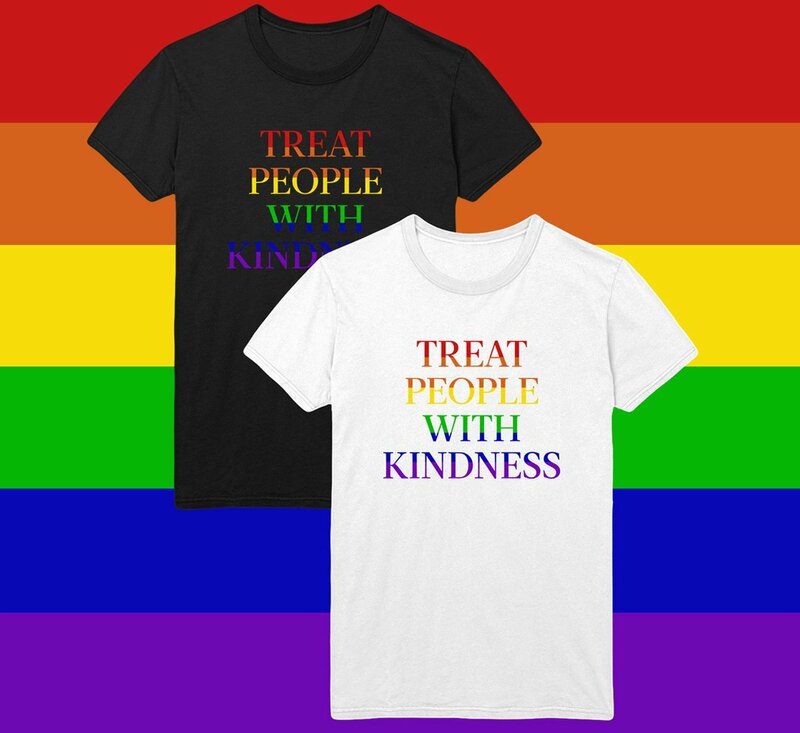 The two special editions of Harry’s “Treat People with Kindness” T-shirts are available to buy through the website throughout the month of June in celebration of it being Pride month. The T-shirt’s are available in either black or white. What makes this gesture so overwhelmingly beautiful is that 100% of the profits from the sale of these T-shirts will be donated to the charity GLSEN. The money raised will help support GLSEN and their work to make schools a safe and inclusive place for LGBTQ youths. GLSEN (pronounced “glisten”) was founded in 1990 by a group of teachers in Massachusetts. Although they were small in number they determined to change the education system that regularly saw LGBTQ students falling through the cracks because of they were treated at school. Over 25 years later they are no longer just a small group of teachers championing a change, but a leading national education organisation which works to make schools a safe place for LQBTQ children. 8/10 children face bullying and persecution for being who they are. we want every student, in every school, to be valued and treated with respect, regardless of their sexual orientation, gender identity or gender expression. We believe that all students deserve a safe and affirming school environment where they can learn and grow. You can help Harry support GLSEN and the life-changing work they do by buying a T-Shirt here. Please follow GLSEN on Twitter and check out their website for more information! Let us know your thoughts in the comments below or over on @Fuzzable, we’d love to see your photos of you wearing your T-Shirts.